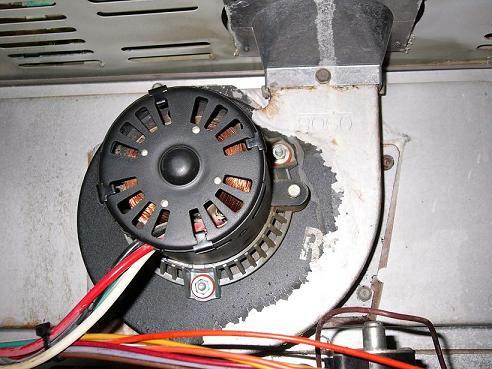 Always use proper electrical safety: see here and remember, "if it isn't grounded it isn't dead"
Should I have the fan switch turned to "ON" or "AUTO". Thermostat wire color codes explained. How do I know what the efficiency of my furnace is? How do I know what type of ignition I have? How do I know if the problem is in the thermostat? What information should I include in my post? How do I light the pilot light? What is a roll out limit? 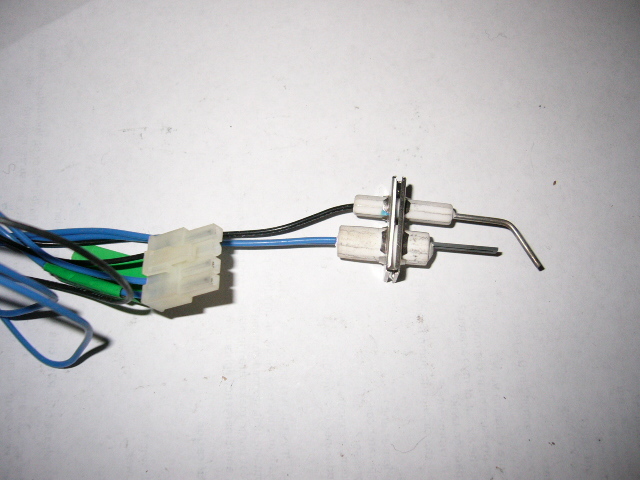 What is a spill switch? Why do I hear water running in the pipes? What is a zone valve? How do I purge the air out of my radiators? What is the expansion tank? How do I know if the circulating pump is running? What is the evaporator coil? How cold should my registers be? Does my air conditioner use my furnace to operate? How warm should my registers be? Why is there steam or smoke coming from my heat pump? The fan in the outside unit stopped running? Why does my heat pump make strange noises from time to time? What is the Aux and Emergency lights on my thermostat for? 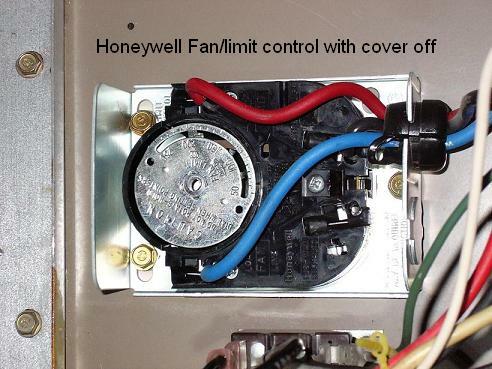 Honeywell Thermostats your home expert. Aprilaire, air cleaner, humidifiers, dehumidifiers and ERV's. Please note. Not all installers use the proper color codes when they install or replace equipment. 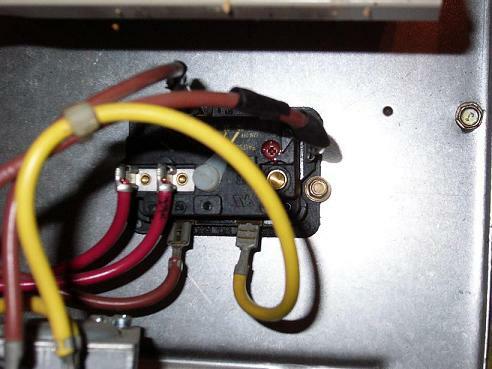 It may be necessary go go to the furnace or outdoor unit to verify what wires are for what purpose. 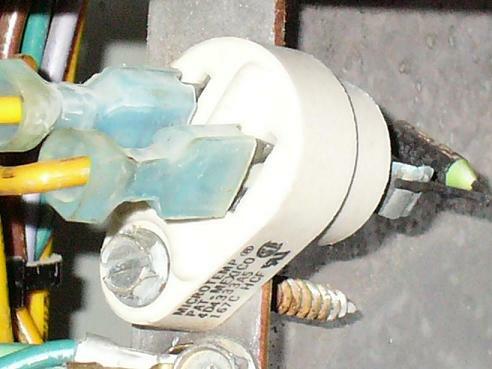 Also be sure there are no splices in the wire that could change the wire colors between components. R (red) or Rh (Red heat) 24 volts from equipment. 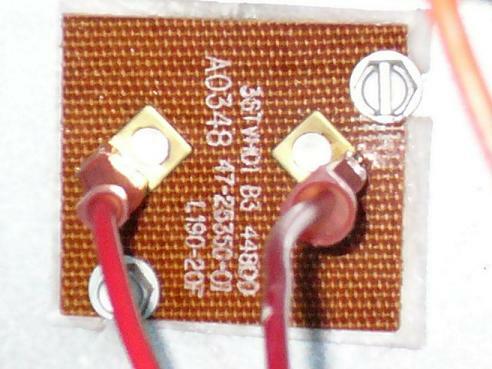 Rc (Red cooling) 24 volts from transformer in cooling equipment. 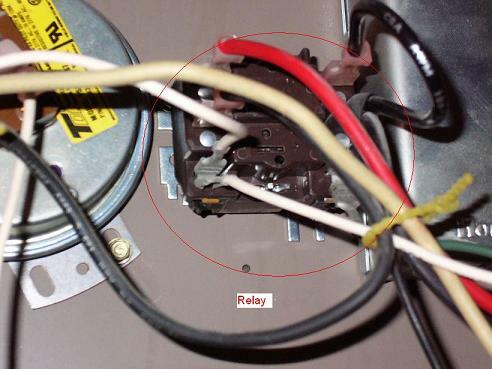 Note: If only furnace has a transformer and cooling equipment does not jumper Rc and Rh. 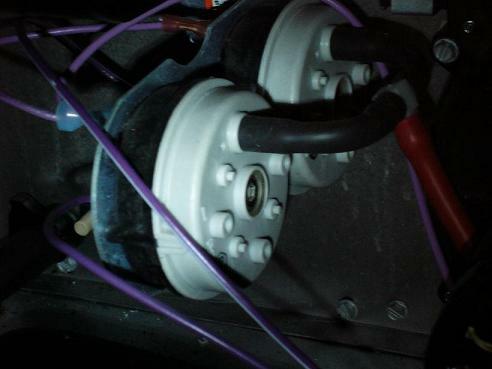 W (White) sends 24 volts to furnace control to start the heating cycle. W2 (no standardized wire color, usually whatever wire color is available) controls second stage heat. Note: W2 is most often used for heat pumps to control what is called emegency heat or Auxillary heat, and most often will use the white wire. Y (yellow) often (blue) is used, controls cooling unit (outdoor condensing unit) also is used for heat pump heat. Y2 (no standardized wire color, usually whatever wire color is available) controls second stage cooling. 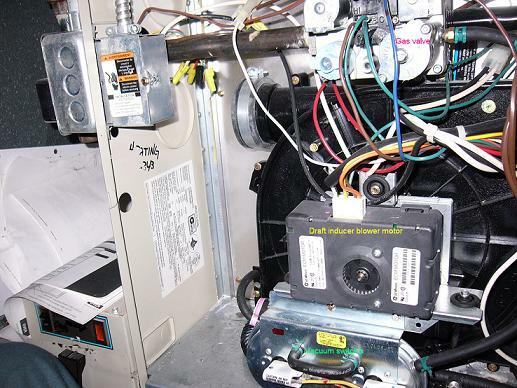 G (Green) controls the fan "on" operation of the furnace/air handler. 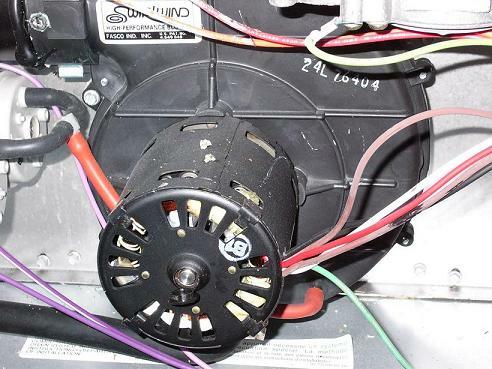 Also often is used to start the blower for many electric furnaces. C (common) most often brown but can also be black or other color available to installer. 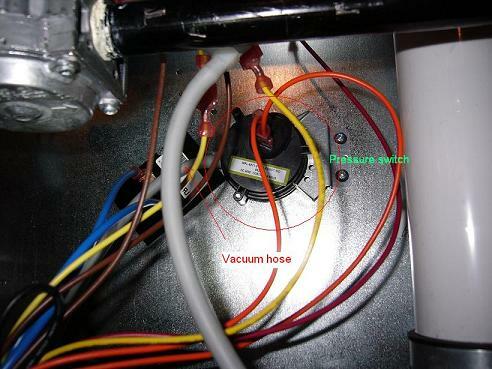 O (orange) Energizes heat pump reversing valve for cooling (Trane and most other brands). B (Blue) Energizes heat pump reversing valve for heating (Rheem, Ruud and Weatherking). How to connect the wires to a new digital thermostat. A heat pump is an air conditioner that can change refrigerant direction. Just as an air conditioner absorbs heat inside the home in the summertime and expels it outside. In the winter a heatpump reverses refrigerant flow, absorbs heat outside and expels it inside the home for heat. Heat pumps are very efficient when compaired to other heating sources. However when the outdoor temperature falls very low, lets say below 25 degrees F. there is very little heat outside to absorb and their efficiency decreases. Temeratures from the register will typically be around 90 degrees F. Thus people often feel as though their furnace is blowing cool air. Because of this low vent temperature a heat pump will run a long time to keep a home warm. The outdoor section of the heat pump becomes very cold and will form frost, and even some ice. To correct this problem the heatpump will go into a defrost cycle to clear itself from all this frost. Basically it is running like an air conditioner now. Often steam will be seen when it is defrosting, the outdoor fan stops turning and the back-up heat source will start to offset the fact that the air conditioner is now on. The heat pump should be installed up high on stands to keep it out of the snow, and give all the defrosted water a place to go. All heat pumps with a back up heat source (this is all cold climates) need a 2 stage heat, pump, thermostat, or other electrical modifications must be made to the out door unit to work properly. How do I know what efficiency my furnace is? Furnaces that have a simple metal vented system with no draft blower are around 70 percent efficient. Simply known as natural draft. Furnaces with a metal flue pipe and a blower motor that exhausts the flue gasses are 80 percent efficient or above. Simply called 80+. Furnace with induced draft blowers and PVC flue pipes are 90 percent and above. Simply called 90+. What type of ignition do I have? Pilot light that is constantly lit. Typical in older furnaces, uses this flame to ignite the main burners. Pilot light ignites each time the furnace starts. 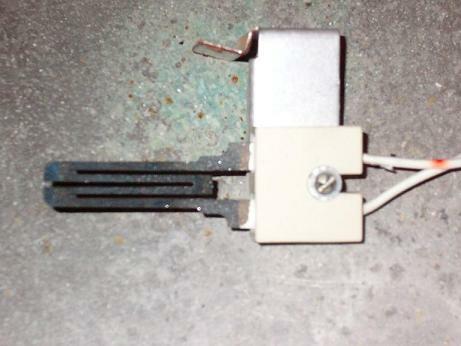 1. glow plug (called a hot surface ignitor) ignites the pilot light. 2. spark (a small electrical spark) ignites the pilot light. 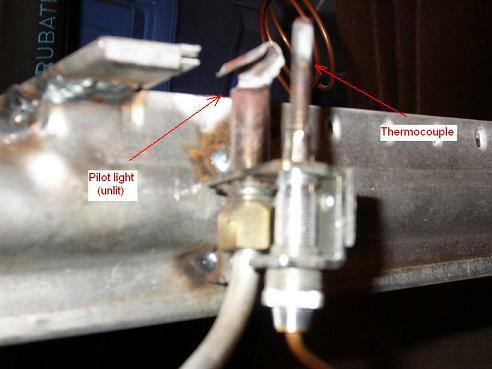 Similar to intermittent pilot in that a spark or hot surface ignitor is used to light the burners, most common method in newer furnaces. 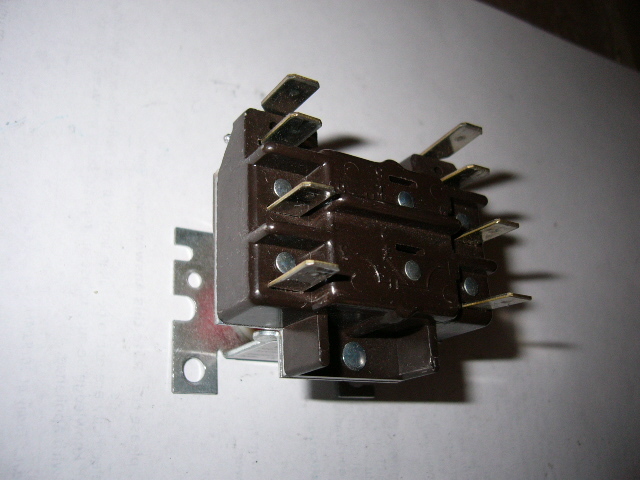 Disconnect power at the furnace or breaker box. Restore power, did the furnace start to run? If yes the thermostat was bad. If no the problem is in the thermostat wire or furnace. Disconnect power to furnace again. At the furnace find out how the thermostat is connected to the controls. Again jumper R and W. Retore power. Did the furnace start? If yes the problem was the wire if no the problem is in the furnace. Using a volt ohm meter. 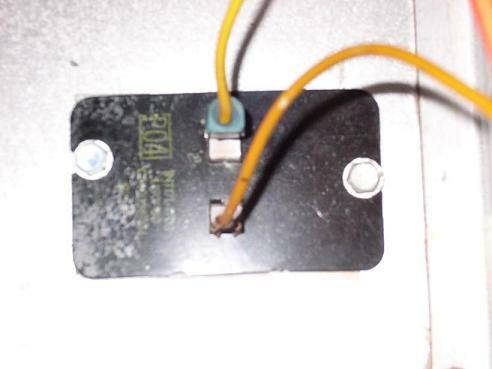 Turn the thermostat to heat, turn it up above the room temperature, at the furnace check for 24 volts betweem W and common, chassis, ground, if 24 volts is present at W the thermostat is working fine. Red wire should have 24 volts at all times. 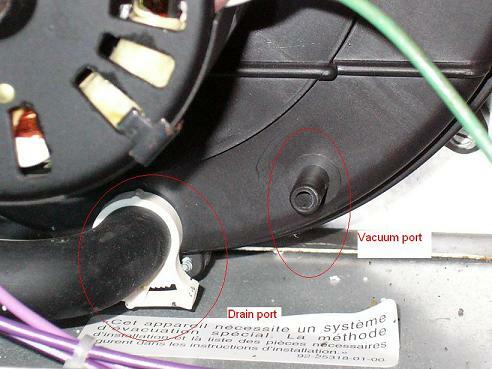 Note Most furnaces have a safety door switch for the blower compartment, this button must be depressed to power on the furnace. What does it do? Not do? 24 vollts is always present to the thermostat R terminal. When the thermostat closes its switch to call for heat, 24 volts is sent out of the thermostat on the W terminal. This 24 volts goes back into the furnace, then typically through 1 or 2 safety devices to the gas valve. If the standing pilot is lit. The gas valve opens, and the gas to the burners is then ignited by the pilot light. The heat exchanger is heated untill a device tells the blower to come on, usually a fan and limit control. Also see camstat fan and limit control. When the thermostat is satisfied, the switch in the thermostat opens, the gas valve closes, stopping fuel and the fan continues to blow untill the fan and limit cools, turning off the blower. 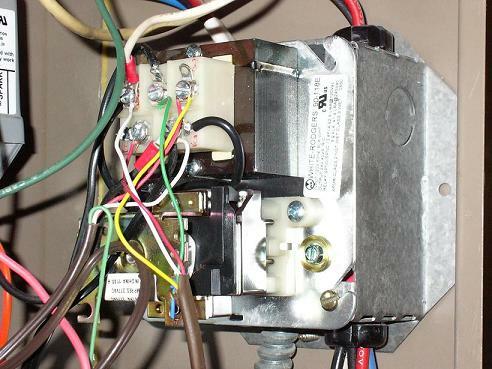 Thermostat sends 24 volts through white wire to furnace. 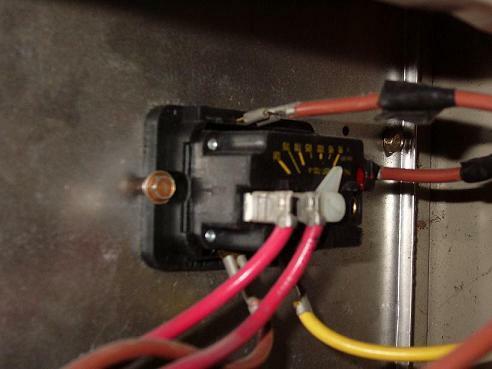 Furnace checks pressure switch, and safety switch's for proper positions (open/closed). Draft inducer blower motor, starts to run. After inducer plower purges the heat exchanger, either a pilot lights, a hot surface ignitor (HSI), or a spark begins. If the furnace is an intermittant pilot model, once the pilot lights, current is sent through the flame by a flame sensor, if current is present through the flame the main gas valve opens and the burners ignite. If the furnace is direct ignition, The HSI or spark ignites the flame. A flame sensor passes current through the flame, if current is present the main gas valve stays open and heat exchanger begins to warm up. Most high efficiency furnaces then use an electronic timer on the circuit board to start the blower after the burners are proved. Thermostat opens when desired temperature is reached. 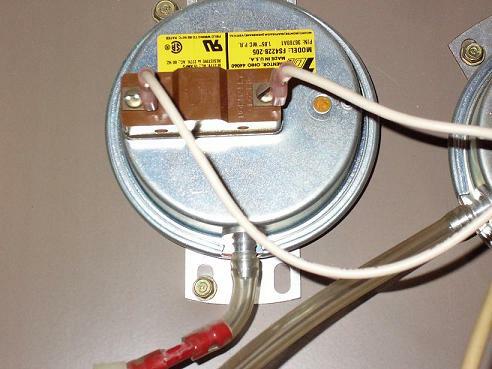 The gas valve closes, burners extinguish, and the timer starts again to turn off the fan. Typical draft inducer blower motor. Camstat fan and limit control. 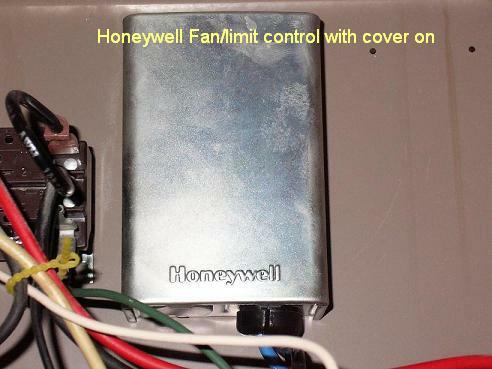 Honeywell fan and limit control. Vacuum port and drain on a 90+ draft inducer blower housing.